AVIXA™, the Audiovisual and Integrated Experience Association, will host the first of two planned 2019 discussions on the topic of “Retail Banking in the Audiovisual Age” at Retail Banking Conference 2019, taking place April 24 at London’s Waldorf Hilton Hotel. A second presentation is scheduled for Retail Banking Europe 2019, Nov. 14, in Prague, Czech Republic. The Safe Zone Gunfire Detection system took top honors last week as the Investor Audience Favorite among six promising early stage companies that participated in the second annual Raleigh Internet of Things (RIoT) RAP Pitch Night held on April 10th in Raleigh, North Carolina. According to Nortek Security & Control Vice President of Products Quinto Petrucci, the 2GIG eSeries offers both end-users and dealers an enhanced security and controlecosystem that builds on the reliability and peace-of-mind that are synonymous with the 2GIG name. The new GC2e panel includes a larger, brighter 5” capacitive touch screen, while the GC3e features a 7” touchscreen. Both panels have best-in-class 2-way audio and front-firing speakers for exceptional audio performance. 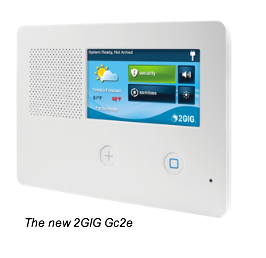 Additionally, the new GC3e panel exclusively includes the 2GIG Smart Areas™ feature, enabling security partitioning that makes it easier than ever to set up independently protected areas in homes. Smart Areas delivers greater personalization and functionality for the end user, while simplifying installation for the dealer. “Think of it as four systems for the price of one,” said Petrucci. Visit Nortek Security & Control at ISC West 2019 in Booth #20015. For hi-res images, click here. Shark Feeding Mania Strikes Key West’s Stoned Crab Restaurant! Want to have a personal up-close encounter with sharks? Now you can at The Stoned Crab Restaurant, which today formally introduced its new Shark Feeding attraction at the popular waterfront restaurant that’s world renowned for its always fresh fish and seafood.